Please click on a question in our FAQ to see the relevant information. How do I speak to the SENCo if I have a concern about my child? In the first instance, please talk to your child’s class teacher. Mrs Joel is our SENCo. An appointment can be arranged through the school office or by speaking to the class teacher. The school telephone number is 0121 675 1729. Our SENCo oversees all support and progress of any child requiring additional support across the school. Class teachers, the SENCo, the child and parent(s) will meet termly to discuss and review progress of the Individual Target Plan (ITP) or One page Profile. We work closely with a number of outside agencies and we will always seek consent before accessing their support. Nursery will share relevant information with our school when your child moves up to us. If advised, we will visit your child in the nursery setting and chat to staff about the best way to meet your child’s needs. We support children when it is time for them to move to their new class. All relevant information will be shared with the new class teacher. We fully support parents in making decisions about the secondary schools they choose for their children and work with them to ensure the transition from KS2 to KS3 is smooth. We invite all secondary transition co-ordinators into school to meet with any children with SEN. Visits to secondary school are encouraged and supported where necessary. There is a named governor for SEN. They meet regularly with the SENCo and reports to the full governing body. In termly reports to governors, information is shared about the progress of SEN children. These reports do not refer to individual children and confidentiality is maintained at all times. Please refer to our SEN policy, available through our school website. Progress will be reviewed termly with the pupil, parents, class teacher and SENCo. Pupils will be asked for their views before the meeting, through a discussion with an adult they are used to working with in school. Parents and pupils are always encouraged to attend the reviews. Sometimes children have extra help through group work in their class. You will be told about this at parent’s evenings. This is usual classroom practice. If your child needs support in addition to usual classroom practice, you will be informed. Yes, parents will help to set the targets at the support meetings. We will all agree the targets and how we will work together to help the child meet them. Copies of support targets will be sent home and this document will be used at review time. When children have identified SEN before they start here, we work with the people who already know them and use the information already available to identify what their SEN will be in our school setting. If you tell us you think your child has a SEN we will discuss this with you and investigate your concerns– we will share with you what we find and agree with you what we will do next and what you can do to help your child. If our staff think that your child has a SEN this may be because they are not making the same progress as other children; they may not be able to follow instructions or answer questions for example. We will observe them; we will assess their understanding of what we are doing in school and use assessments to pinpoint what is causing difficulty. We will discuss this with you. We will write to you and request your support. The class teachers will be available to discuss the support we would like to access to help your child. We are child and family centred so you can expect “no decision about me without me”. When we assess SEN we will discuss with you if understanding and behaviour are the same at school and home; we take this into account and work with you so that we are all helping your child in the same way and helping them make progress. Where appropriate we will write and review ITPs (Individual Target Plans) and One Page Profiles with children and parents/carers. We suggest activities that you could do at home to support your child with their individual learning needs. Any complaints regarding SEN provision can be made following our complaints policy. Children are invited to attend the ITP and One page Profile reviews and discussions. Teachers discuss the targets with your child and check that they are finding them helpful. We actively seek pupil views through our annual pupil questionnaire and reflect on any changes that need to be made. Our SENCo will be able to support you with this. Our Lead Practitioner for Autism(Mrs Thomas) will be able to support parents of children with autism. This can be either through the regular parent support group or through informal chats. Mrs Dallaway is our speech and language therapist. She visits our school on Wednesday afternoons and is able to offer speech and language advice to children and their families. We work with REACH support, this means both a family support worker and pupil mentor will be based in school each Tuesday to offer advice and support. We have a number of before and after school activities, all children with SEN are included. We have regular educational visits and the children of years 4 to 6 are invited to attend a residential. Children with SEN are always included in these opportunities. We provide additional staff support to ensure their full involvement. We choose visits that are accessible to all. The school site is wheelchair accessible with two accessible toilets. The school is on two levels with a lift between floors. Physical needs are also supported through a weekly gross motor group. The SENCo oversees all support and progress of any child requiring additional support across the school. The class teacher will oversee, plan and work with every child with SEN in their class to ensure that progress is made in every area. There might be a Teaching Assistant (TA) working with your child either individually or as part of a group; if this is seen as necessary by the class teacher. The class teacher continually assesses each child and notes where they are improving and where further support is needed. Children who are not making expected progress are discussed termly by the class teacher with either the Head teacher, the Deputy Head teacher or the Assistant Head teacher. In this meeting, reasons that a child might be experiencing difficulty are discussed and decisions are made about further support that needs to be put in place. If additional support is planned for your child, you will be informed in writing. The SENCo has achieved the National SEN Award. Staff have received level 1 training to support children with Autism. Our Lead practitioner for Autism provides in house expertise. Staff have received Dyslexia Awareness training and teaching assistants have been trained in suitable strategies to support children with Dyslexia. All staff receive annual training on support for medical needs, this includes administering an Epi-pen, asthma awareness, diabetes awareness and allergy awareness. Speech and language training is delivered in house, as well as through outside support. We are able to access training as required to support physical needs through our link with Victoria School. Medical needs are discussed on an individual basis. School would liaise with the school nurse as appropriate to create a Care Plan. The school has a policy regarding the administration and managing of medicines on the school site. Please see the “Administration of prescribed medicines” policy. 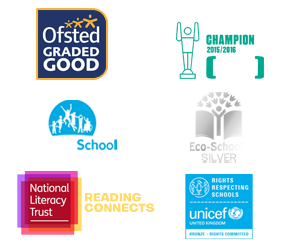 All our staff are trained to make materials and ‘work’ easier or more challenging so that every child is able to learn at their level. We use additional schemes/materials so that we have something at the right level for children with SEN.
For example we use interventions such as “Numbers Count”, “Precision teaching”, “Circle of Friends”, “Colour Semantics” and the “Social Use of Language Programme”. All our staff are trained in a variety of approaches which means we are able to adapt to a range of SEN:- specific learning difficulties (including dyslexia); Autistic Spectrum Condition; speech, language and communication needs and behavioural, social and emotional difficulties. We use a number of approaches to teaching that support all children and their learning styles. This is evident in the teachers’ planning and the delivery of lessons and may take the form of whole class, group or individual teaching. All classes use a visual timetable. Speech and Language support is available though our therapist, Mrs Dallaway. Autism support is available through our Lead Practitioner, Mrs Thomas. We also have close links with the Communication and Autism support team. Small groups and individuals might work on the following programmes; Metra, Precision teaching, Numbers Count, Colour Semantics, Direct phonics, Metra, Cued Spelling, Acceleread/Accelewrite. The school uses a variety of approaches to support children with their communication, including “Colour Semantics” and word mats. We use “social stories”. Children can join a “Circle of Friends”. We are an inclusive school; we welcome and celebrate diversity. All staff believe that high self-esteem is crucial to a child’s well-being. We have a caring, understanding team looking after our children. For this we have been awarded our sixth Quality Mark. The class teacher has overall responsibility for the pastoral, medical and social care of every child in their class, therefore this would be the parents’ first point of contact. If further support is required, the class teacher would liaise with the SENCo. Please refer to our Behaviour policy for our positive whole school approach. If a child has behavioural difficulties, an Individual Behaviour Plan (IBP) is written by the SENCo alongside the child and parents. This plan will identify the specific areas of difficulty and set targets accordingly. Relevant support is put in place and the IBP will be reviewed termly. We can refer families to help them access support through REACH. Our HLTA, Mrs Thomas, works under the direction of the SENCo and is able to support vulnerable children during the school day. A full copy of our SEN Information is available via the button below.